KIZN is Boise’s “Big Market” Country station, reflecting the lifestyle of the contemporary Country fan in the Treasure Valley. 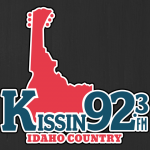 KIZN is the top rated radio country station in the Boise market with Adults 25-54 (Fall 2008 Arbitron – Boise Metro). Kissin’ 92.3 is the most consistent radio performer in the market, consistently ranking in the Top 5 for nearly every demographic. KIZN is an official NASH affiliate and features interviews with Country’s biggest stars. A family station with no blue or questionable content or music, Kissin’ 92.3 is very active with local promotions and giveaway contests.